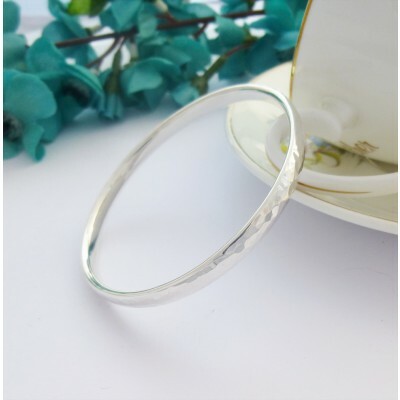 The Edie Extra Large Hammered Bangle is a truly beautiful solid sterling silver bangle with a hammered exterior to it, creating a lovely reflectivity. 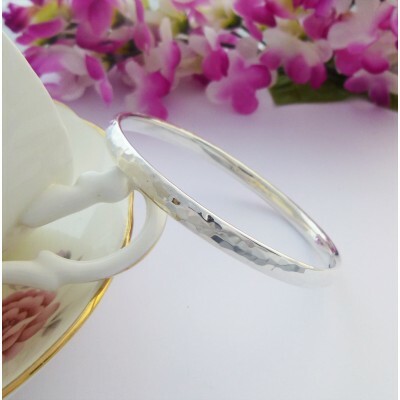 Handmade in the West Country exclusively for Guilty Bangles. 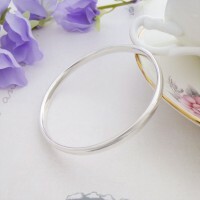 The Edie Extra Large Bangle has an internal diameter of 71mm and is perfect for ladies who struggle to get regular and large size bangles over their hand. 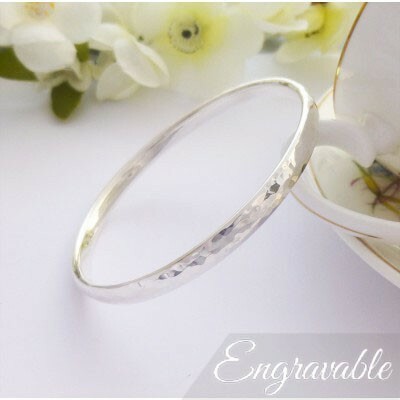 The Edie has an oval cross section that is approximately 6mm wide and 3mm deep and a lovely hammered exterior. 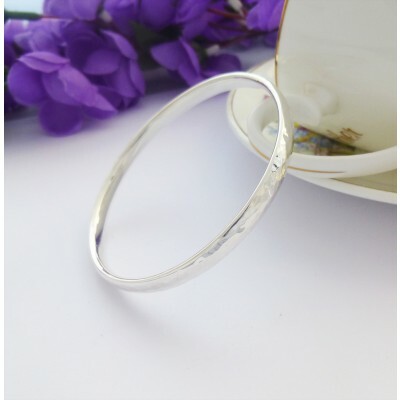 If you are looking to buy a truly beautiful, quality, solid sterling silver bangle perfect for wearing at any time with an exquisite finish, then the Edie Extra Large Bangle would be a fabulous choice and is part of our engraved silver bangles range! 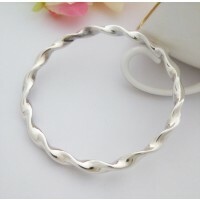 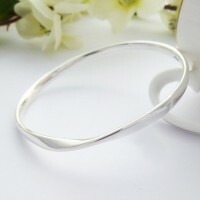 The internal diameter of 71mm and is an extra large sized ladies bangle.